We are proud to be sponsoring Sailability disabled sailor Jason Elwes based at the Grahamstown Sailing Club. Jason is competing at the Hansa World Championships in Hiroshima Japan between the 12th and 18th of October. Jason will be participating in the singles and doubles for a place on the podium. After this event Jason has a full schedule planned with a Para Sailing International Regatta coming up in Melbourne at the end of the year. 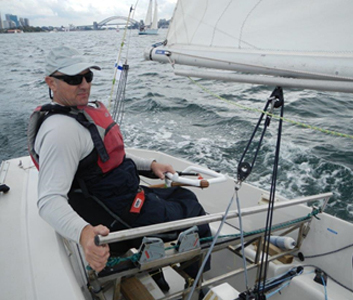 If all goes well he may get a spot in the Australian Paralympic Sailing team. We will keep everyone up to date with this event and Jason's progress.